The elderly and those suffering from chronic pain, disabilities and mobility issues, often have difficulty sitting, standing and lying down. Recliner chairs are designed to offer great comfort and relief in such situations. People using recliner chairs experience the utmost comfort while sitting, standing and sleeping. You can adjust your posture using a remote control and achieve different reclining and elevated positions for the ultimate comfort. Well-designed riser recliners help you in your daily life in the following ways. Unlike standard chairs that are set in a single position, riser recliners enable you to adjust your position. This way, that your body gets the best support while sitting, standing or lying down. As a result, you experience ultimate comfort. Whether you want to watch a movie or lie back and rest, you can adjust your riser recliner to the desired position and enjoy your time comfortably. At Mobility Direct North, we offer rise and recliner chairs in the North East in a variety of styles and colours. You can spend hours on a recliner chair without any discomfort. Our deep-cushioned and plush leather models add to the comfort level. Old age, disabilities, medical conditions (like arthritis and chronic pain of the limbs, back, neck and the joints) and mobility issues can make movements painful. Riser recliners help ease such pain by enabling you to achieve the right posture when you stand or sit. These chairs distribute your weight evenly, which increases the comfort of posture. The chair can be adjusted to reach an almost standing position, which makes it extremely easy for you to stand. This ease of movement reduces the stress on the knees, hips and back. For the best recliner chairs in Newcastle, visit Mobility Direct North. Our chairs support multiple positions to give you the highest levels of comfort. The high-end design ensures extremely smooth lift and recline. A loss of balance while standing, reclining, getting up or trying to sit down, can result in dangerous slip-and-fall accidents. With well-designed recliner chairs, you can prevent such hazards. Having a well-designed recliner chair enables you to reclaim your independence and go about your life with greater satisfaction. It is important to choose high-quality riser recliners though. Mobility Direct North is a specialist and trusted provider of high-quality mobility aids and recliner chairs in the North East. 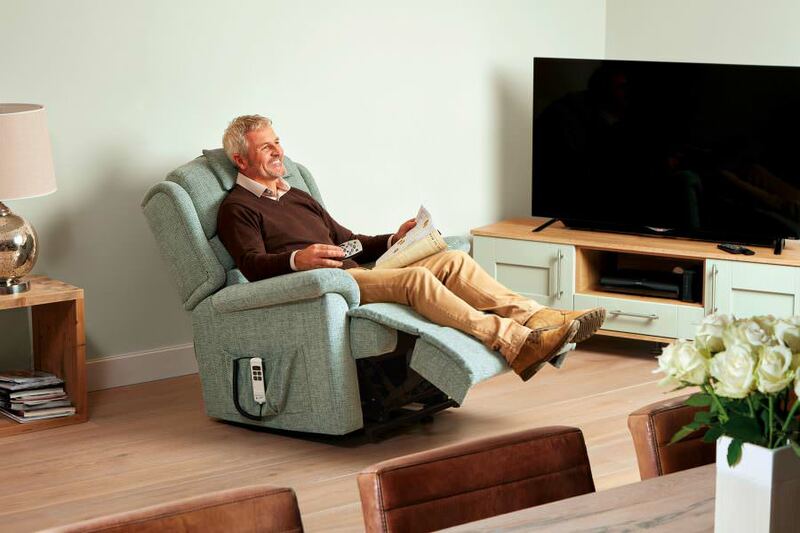 Our riser recliners carry multiple features such as support for various positions, double-scrolled arms, adjustable back cushions, and fibre-filled back, for increased comfort levels. You also get a generous warranty on them. Call us at 0191 285 4245 for an obligation-free home demonstration.